There is only one correct time to talk about Apple Watch sales and that is when they are at their lowest. Writing for Quartz, Mike Murphy brings us last quarter’s news. Well, to be fair, Pebble will be losing some share pretty quickly soon, seeing as how it’s dead. Despite its best efforts, Apple is still boring. iPhones are so boring. They don’t even explode! 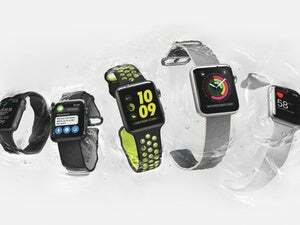 According to data released from analytics firm IDC Dec. 5, Apple’s share of the wearable market in the third quarter shrunk significantly. And IDC is never wrong (tip o’ the antlers to Daring Fireball. They just sometimes report on alternate realities. Apple shipped roughly 4 million smartwatches in the quarter last year, according to IDC, but could only manage to ship roughly 1 million this year—a 70% drop in shipments. IDC’s numbers are 3.9 million and 1.1 million but why not round them? They’re pretty much just guesses anyway. The numbers may or may not be accurate, but it’s probably worth pointing out that the Watch was expected to be updated at the end of the quarter, which probably depressed sales until then. Murphy does mention that, but doesn’t seemed swayed by it. The Watch Series 2 was announced in early September but wasn’t available until September 16th. 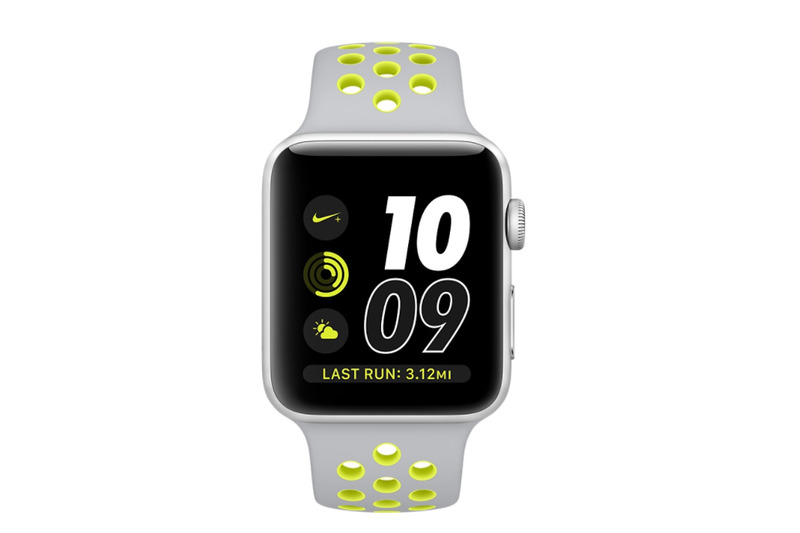 …meaning that some people may have held off on buying an Apple Watch earlier in the quarter if they’d been reading the rumors that a new one was on the way. But there doesn’t seem to have been in a massive uptick in watch sales after the release, so perhaps people weren’t waiting for the new models. While those two weeks of availability didn’t save IDC’s guesses of sales for the quarter, Tim Cook seems to think the Watch is doing OK.
Psh. What does that guy know? Other than the actual numbers of Watches sold. An earlier version of this article stated that Apple posted its first yearly loss in over a decade in 2016, when in fact it posted its first drop in profit and sales since 2001. As Apple’s 2016 profit was almost $46 billion it’s kind of amazing someone could actually type that it had posted a loss, even as a mistake, without their keyboard simply bursting into flames. Whatever Apple’s solution to return to growth might be, Apple Watch probably won’t be part of it. Cook's comment implies Apple Watch sales will be close to 5M units this quarter. It's time for the doubters to admit Apple Watch is a thing. Neil, please. Apple selling 5 million Watches in a quarter isn’t a hit. Amazon selling 5 million Echoes in two years is a hit. Yep, the curve Apple is graded on is pretty steep.